We presently have the following Outdoor Pools in New Jersey, but we are generally grateful for any corrections or contributions. Get in touch via our make contact with form. Are you on holiday and wish to hold fit and wholesome? 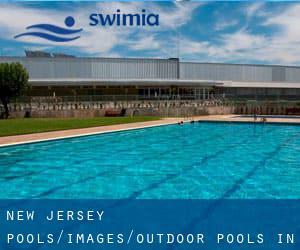 Swimia.com provides you the easy and quickest technique to obtain pool near New Jersey. There are normally discounts readily available to senior citizen and tiny children. Find out by contacting your nearest pool in New Jersey. Traveling to New Jersey? This can be the ideal spot on the internet to find locations to swim in New Jersey. Each day you might be not swimming you are losing precious time to improve your abilities a be a much better swimmer! No extra excuses!. These would be the Pools other users have reported. Are you a local and your pool isn't listed? Contact us to ADD IT. It's free! Are you a regular swimmer? Do you visit precisely the same Outdoor Pools in New Jersey? Please check that all the information for your aquatic center are right and contact us when you obtain any mistake. Whereas Elizabeth is one of the six most populous cities in New Jersey with almost 124.969 residents, you shouldn't miss that one if you're going to New Jersey. Let us let you know a secret to switch off even though you are in Edison: just pick out a Swimming Pool in Edison and plunge into the water! There's no much more effective technique. Swimming is really a excellent concept to help keep your body active during your visit to Newark (New Jersey), or even if you are a local. Swimia helps you to find your closest Pool in Newark. It's hard to visit New Jersey without having dropping by Toms River (with 88.791 residents). Currently Swimia is showing you all of the Swimming Pool in Toms River and the closest pools situated in its vicinity. Without a shadow of a doubt, swimming in Paterson will be the best way to unwind after function. Take a couple of minutes to browse Swimia's catalog to find a Swimming Pool in Paterson. Updated on 2019 4701 Stelton Rd. at S.R. 287 , South Plainfield , NJ , USA (Postal Code: 07080). Swimmers like you reported 20 yards, Indoor/Outdoor. Unfortunately we do not have the e-mail address of this Swimming Pool, but we can give you the phone number. Updated on 2019 211 W. Kinney Street , Newark , NJ , USA (Postal Code: 07103). Swimmers like you reported Olympic size x 25 yards, Indoor/Outdoor. Unfortunately we do not have the email address of this Swimming Pool, but we can provide you with the phone number. 73 Maskill´s Rd. , Salem , NJ , USA (Postal Code: 08079). Among all of the activities offered by the center, if you're considering swimming you will enjoy 25 meters x 15 meters, 6 lanes, Indoor/Outdoor. Just in case you desire to make contact with this Swimming Pool before dropping by, we only know the phone number. Updated on 2019 1133 Boardwalk , Atlantic City , NJ , USA (Postal Code: 08401). This sports center provides 20 yards, Indoor/Outdoor. For this Swimming Pool, only phone number is number here. 755 Talamini Road , Bridgewater , NJ , USA (Postal Code: 07081). This sports center delivers 25 yards x 42 feet, Indoor/Outdoor. For this Pool, only phone number is number here.